It's Patsy Cline's 50th anniversary this year. 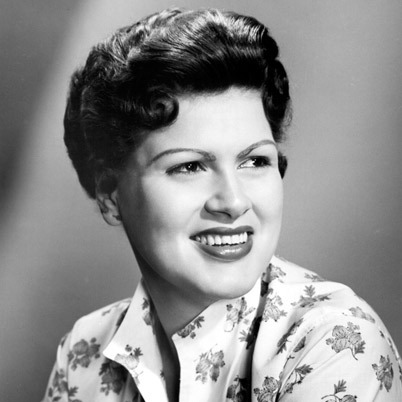 Born Virginia Patterson Hensley in Winchester, Virginia, Patsy Cline was a successful American country music singer. She was one of the most influential and acclaimed female vocalists of the 20th century. Cline began with "Walking After Midnight" on a tv show called "Arthur Godfrey’s Talent Scouts". "I fall to pieces", "Crazy" and "She's Got You" became some of her most successful hits. Sadly, she died at the height of her career in a private plane crash aged 30 years.